But what about the economic and cultural forces that have left baby boomers, myself included, financially unprepared for retirement? Delay for us isn’t a choice but a financial imperative. The median balance for a household headed by a baby boomer age 60 to 62 with a 401(k) plan was just $149,400 – not even twice their median annual income of $87,700, according to Boston College’s Center for Retirement Research, which sponsors this blog. Using the “4 percent rule,” a 401(k) would generate roughly $7,000 a year in retirement, the amount that retirees can safely withdraw annually from their 401(k) without depleting it. That leaves a big hole that a Social Security check won’t fill for this relatively affluent population – people whose employers offer a 401(k). Where did all that wealth created by the longest economic boom in U.S. history go? We baby boomers are a privileged lot, and if we want something, we are accustomed to having it. We lament the spending proclivities of our adult children, yet we wrote the book on mass consumption. The average house size more than doubled during our generation – the McMansion is a baby boom creation – and we filled it with “stuff.” We pioneered the use of multiple credit cards to feed our shopping habit and home equity loans to go on vacations or send our children to the best colleges. I couldn’t imagine my parents doing that, and I’m sure most of my cohort couldn’t either. For nearly 30 years, I was a fulfilled but low-paid newspaper reporter, yet that never prevented regular trips to Europe, such as a delightful one-month getaway during my mid-30s to Berlin, Rome, Paris, and London. In my late 20s, there was the $15,000 in profit-sharing funds handed to me when I resigned from my first job after college: I spent it. If I’d thrown it into the stock market, it would be worth $120,000 today. Ouch. We’ve lived it up all these years, and it’s payback time. The “lost decade” in the stock market, bookmarked by the 2000 technology-industry bust and the 2008 global financial meltdown, has done irreparable damage to our 401(k)s. At the same time, 21st century medical advances that dramatically extend our life expectancy put women behind the retirement eight ball. We live three to five years longer than men, yet we earn only 77 cents for every dollar our male counterparts make and so have less for our 401(k)s.
Yet only 18 percent of baby boomers surveyed by the Sloan Center on Aging & Work here at Boston College admitted they planned to work in retirement “because income from other sources is not enough.” More prevalent reasons were the desire to live “more comfortably” (53 percent) and because they would otherwise “be bored” (31 percent). This survey was taken before the financial collapse in 2008, so the mood was probably more optimistic than it is today. Other research shows that baby boomers are paralyzed. But with so few admitting that they’ll have to work in retirement, I suspect that another skill honed by baby boomers is at work here: denial. Thanks for these insights. I’d take issue with one point, and that is the irreparable damage done by the so-called \lost decade\ in the stock market. 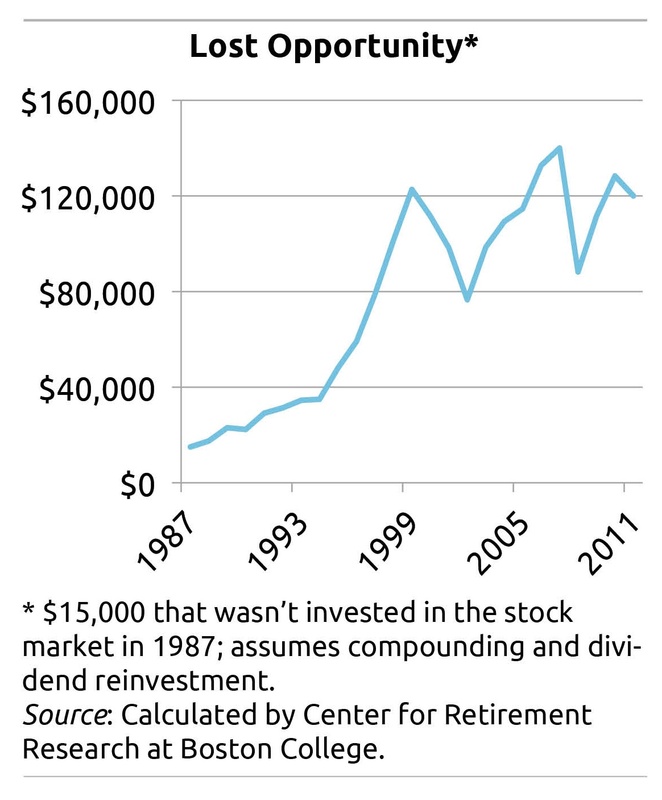 If you were saving regularly for retirement (such as making monthly contributions in a 401(k) plan) during that decade, the US stock market essentially \held still\ while you bought stocks at roughly the same price. What a great time to accumulate stocks! Think of it like shopping at the grocery store: you got to stock up on canned chicken for 10 years at the same sale price. What you then hope happens in the next decade (or two) is that your stocks will go up in value until you retire and hopefully beyond. The only thing \lost\ about the lost decade (for retirement savers) was missing out on buying stocks while prices held steady. One of the biggest challenges confronting management and human resources teams is how to empower Generation X and Generation Y to step up to the leadership plate. Career mentoring will be a great idea for that. While I agree, I think we are too hard on the baby boomers and their lack of savings. Most folks cannot accumulate the dollars necessary to allow for a safe retirement. As a retiree in the withdrawal stage, I would suggest 3 percent as a safer withdrawal rate. 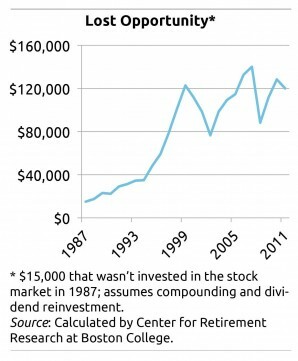 As a note, when I retired in the ’90s, financial advisors were touting 6 percent as a conservative withdrawal rate. Not mentioned is the individual risk vs. the easily-managed pooled risk, when it comes to longevity and your assets.